Solar module review Which solar panel to choose? Want a panel manufactured in Europe? Warranty is important to me? Slate roof or listed building? We normally recommend spending more money on the inverter than the solar panels, since the inverter is the most likely component to fail. The choice of panels is a careful balance between aesthetic design, cost of the system and real life long term expected output. The time a company has been in business is important, since it brings cumulative knowledge and experience. However, companies such as AXITEC were set up by leading individuals in the solar industry. AXITEC are also receiving excellent reviews in the solar industry magazines due to their outstanding performance in German test fields. Furthermore new companies can have access to the very latest manufacturing plant, increasing the quality control of panel production. We generally use German high-end modules as we are aware of the importance of quality and performance in a system that are meant to last a lifetime. There are two main types of cells blue (polycrystalline) and black (monocrystalline). In the past, monocystalline were more efficient than and considered superior to polycrystalline panels. This has now changed with some polycrystalline panels being more efficient than monocrystalline. In fact many of the top performing panels in UK conditions are polycrystalline. Companies sometimes have better performing polycrystalline while other have better performing monocrystalline panels.The best way to compare panels is to look the panels up in independent panel tests such as Photon. A final category of panel is hybrid panels such as Panasonic which use both monocrystalline and thin film. The thin film means the Panasonic panels perform much better than any other panel at high temperatures. Solar panels do not fail very often. The Chinese manufacturer warranty statistics are also very low. 80% of the panels in Europe are now manufactured in China. Some Chinese companies, such as JA Solar, have more experience in manufacturing than some German companies such as Axitec and Solar-Fabrik. In independent performance test, many of the top panels are now manufactured in Asia. Don't rule out Chinese manufactured panels, since it can increase your profits. This is the concept that is most often misunderstood. It normally does not make sense to compare systems based on panel efficiency. Panel efficiency is only important if you have a smaller roof space not large enough for 16 panels. If you have system number 1 which included 16 x Seraphim 250w panels this makes a 4kW system. If you have an alternative system including 14 x Panasonic 285w panels you also have a 4kW system. Both systems should produce the same amount of energy. The main difference is the Panasonic system will take up less roof space, since it is a more efficient panel. Therefore, it only makes sense to pay the extra cost of a high efficiency panel when a 4kW system does not fit on the roof. Another time we recommend high efficiency modules is for aesthetic reasons, for example a single block of panels can be installed in portrait rather than having panels in portrait and landscape. Finally, we sometimes recommend high efficiency panels when you have two roofs in different orientations, to allow a larger system to be installed on a south facing roof. If you have a dark roof such as slate, we recommend black frames for aesthetic reasons. Panels produce less energy when they increase in temperature. Having a black back sheet absorbs the heat. LG offer the most efficient all black panel and are surprisingly not affected by temperature increases as much as most other panels. Another exception is the all black Seraphim panel which came 4th out of 151 modules in an independent test. The Panasonic panel is the panel least impacted by heat. Panel efficiency reduces when panels become hotter, For this reason we recommend white backsheets unless black backsheets are required for aesthetic reasons. When comparing panels the product warranty is important, since if the reason for failure meets the warranty conditions, it will be replaced. Every panel sold in the UK needs to have a 25 year performance warranty, which means the panel will lose less than 20% over 25 years. Some panels such as the BenQ GreenTriplex, Seraphim, There are two exceptions to this which include LG Neon and BenQ high efficiency panels - which are degregation (see below) free so have better performance warranties. I think it is extremely unlikely that anyone will put in a claim under performance warranty since the costs involved in proving the panel has failed will be more than the panel replacement cost. For this reason I would not look at the performance warranty when comparing panels. If we use the same example above with system number 1 being 16 x Yingli 250 panels and system number 2 including 12 x BenQ 330w panels which will produce the most amount of energy? We have already learn't that system 2 is more efficient but that doesn't mean it will produce more energy since they are both 4kW systems. The datasheet of each module just shows there maximum output in standard test conditions, but what really matters is how they perform in real life conditions in the UK. Photon magazine have an independent test in Germany which has 151 panels installed in a field side by side and each panel has test equipment monitoring the performance. Yingli came fifth in that report and Serapahim 4th. The top performing panel Sunpower produced 17% more energy the worst panel. Please contact us for a copy of the report so you can see how well the panels you are intending to buy are likely to perform. Just because a panel performs well in independent test for a year doesn't mean it will continue to perform well. Panels lose performance over time due to the impact of sun causing deterioration in performance of the panels over time (known as PID). The BenQ, LG Neon and Panasonic have been tested as PID free, meaning they are likely to retain their performance for longer. They often use more expensive metals in their production to enable this. Let Us get Your Green project up and running ! 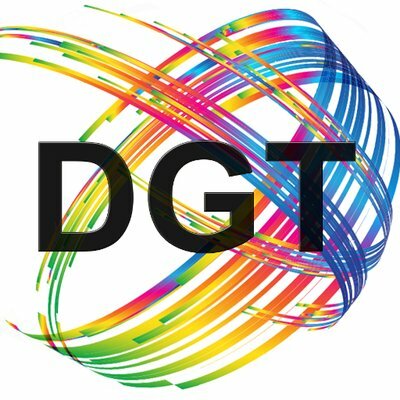 Partner with DGT TODAY !